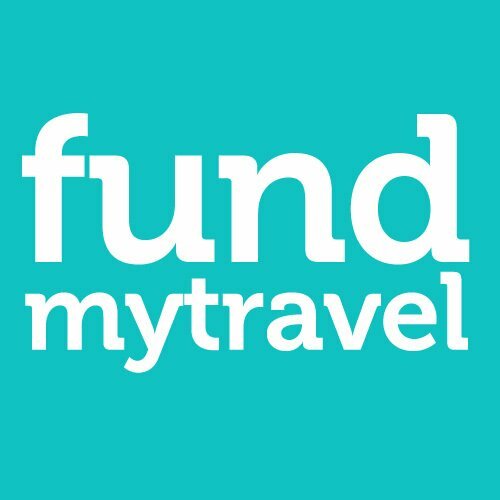 There are many crowdfunding platforms out there, but if your campaign’s main focus is to travel around the world and discover your own meaningful experiences, FundMyTravel is where you should be. Apart from the possibility of starting your own crowdfunding campaign and promoting it in a very active environment, you will have lots of resources and tips at your disposal. Just like in life and business, you need to establish some goals for your crowdfunding campaign. First of all, figure out the amount of dollars you need in order to cover all of your expenses. The experienced FundMyTravel community will be able to offer you more information regarding your overall costs and ways to reduce them. Keep in mind to be very realistic about the goal, and make sure that you plan it for the long and short term. If people notice that you’re greedy, you’d be sorry that you asked for that much in the first place. People are smart, so always be genuine. The ones who are going to fund you need to see a driven person. They need to understand why you’re doing what you do. What you’re trying to do is explore the world, get new experiences and use them to add value to your society. It is something that only a few are capable of. You need to show them that the end result of your funded experience will have a positive outcome. Your travel has a higher purpose than your own person. Share this mission with your fundraisers. For example, Atlas Of Beauty’s photographer travels around the world to capture beauty. What is your future travel’s mission? If you haven’t figured that out, make sure that you do; and do it quickly. People don’t just throw their money on things that they don’t trust. If you’re not giving them enough reasons to fund you, they never will. Put yourself in your supporters’ shoes –would you pay some random guy for his “brilliant” idea to travel the world and make it better? Or would you need more details and facts in order to make a decision? It’s always better to let your potential funders take a quick peek inside your travels. It builds trust and desire among them, and they’ll be much more easily convinced to give. Whenever you initiate a crowdfunding campaign, you’ll get a special spot where you can give something in return for the funds that you received. When choosing what incentives to offer, think about the ideal donor. Describe him as efficiently as you can, and figure out the things he would like to get. For example, you might want to travel to Mexico, document yourself and write a book about the Maya Civilization. You can offer printed T-Shirts with the Mayan Temples as an incentive for your donors and most loyal followers. Also, your future book’s cover can include the names of all your donors. Everyone would donate for a project like this. In order to create a lot more interest, you need to initiate discussions with your followers, hold private conversations, and network as much as possible. The more engaging you are, the more engaged your potential donors will be. Some pretty effective ways to do it would be to send automated thank you emails, letting them know of the good things they’ve made by donating, which you can easily do with the FundMyTravel platform! Never forget about updates. Every crowdfunding campaign takes time. The moment someone joins your cause and sends you funds; you need to give them all the possible details through updates. If you changed something in your itinerary, they need to know. If you changed important dates in your travel, they need to know. This helps at building credibility and trust. FundMyTravel and the internet aren’t the only places to look for help. Media is a very powerful tool to boost your crowdfunding success. Reach out to local editors and let them know of your project. If they find it interesting, there’s a chance that they’ll give you an interview that’s going to be published on their platform. If you believe that posting your crowdfunding campaign on the web and leaving it like that gives you chances of success, you’re terribly wrong. Crowdfunding marketing is essential. Do social media, do SEO, do forum marketing, and do everything you can to capture as much attention as you can. The more awareness you bring; the more chances you stand to make your campaign super successful. If it would be easy, everyone would get sponsorship for their travels. But instead, the few select are managing to draw enough attention and interest that allow them to succeed. Stay focused on your crowdfunding campaign. Take consistent action, create a believable but daring campaign, and you’ll eventually succeed.